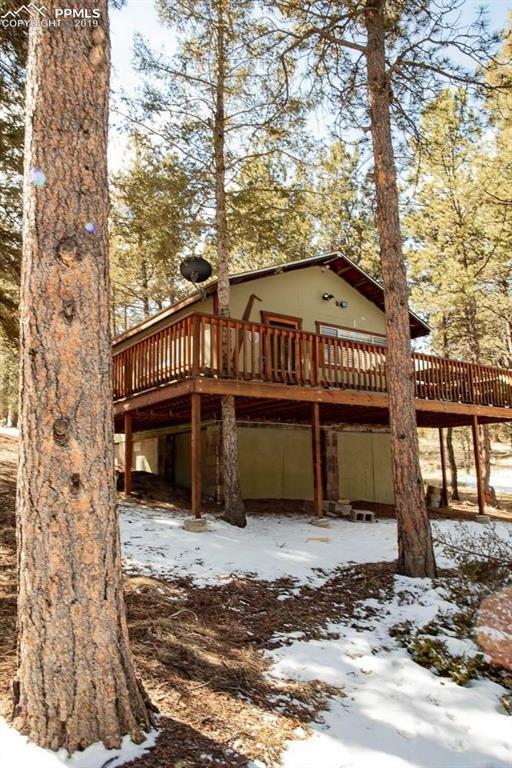 Year-round mountain living in Colorado Mountain Estates. 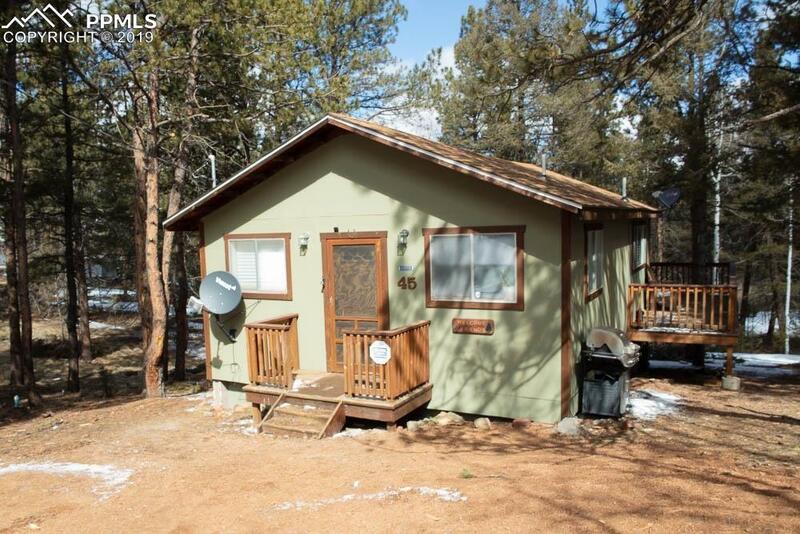 1 Bed 1 Bath single level with private 1-acre lot. Huge deck for entertaining surrounded by seclusion in mountainous landscape. A big crawlspace that the current owners use for a shop area houses a brand-new large water heater with tank booster and cistern pump. The crawlspace has been well insulated to create better efficiency for the home. A 1500-gallon cistern serves the property with year-round delivery access from the local water delivery agency. 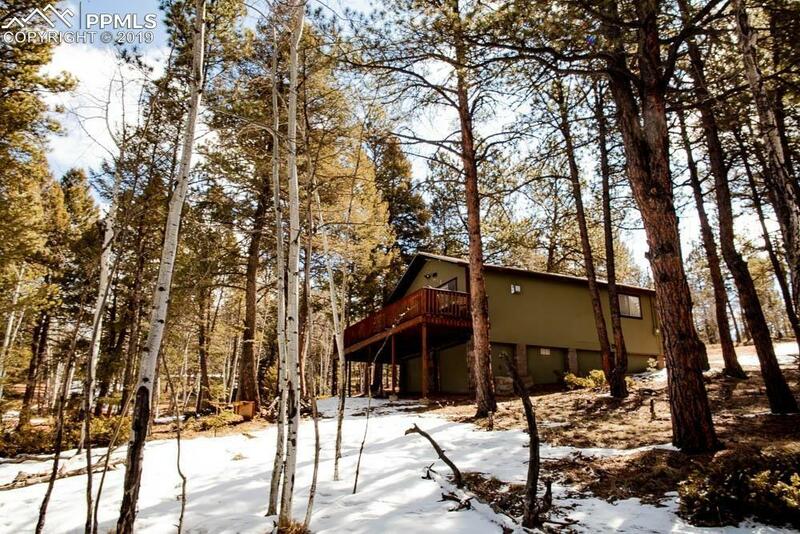 The home is heated with a propane stove hooked to a programmable thermostat for cold weather comfort. The interior is tastefully remodeled in every room. Luxury vinyl flooring is laid throughout the entire house, no need to worry about snowy days or muddy boots as these floors are easy to clean and waterproof! These floors are great for pets that may roam in and out. New LED fixtures provide plenty of light throughout the home. 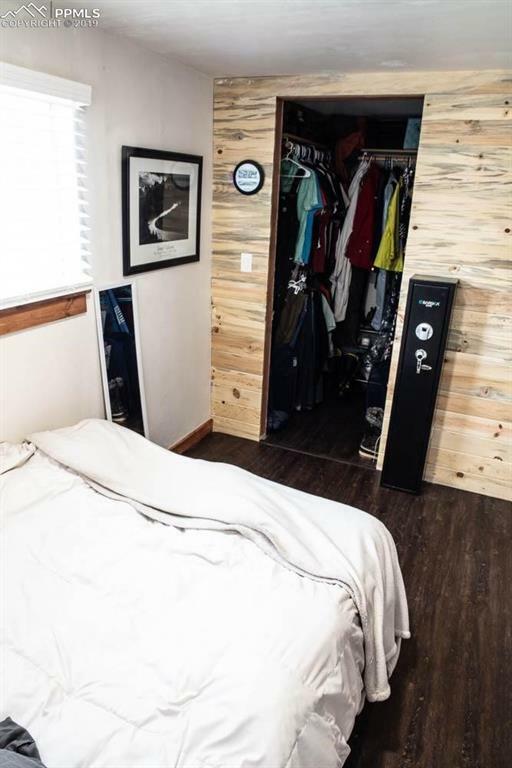 The bedroom has a large walk-in closet with a blue stain pine accent wall. The bathroom has been completely remodeled to include a French-inspired tile shower and separate double soaking tub. A combination washer and dryer, double sink vanity and new shelving complete the master bathroom. The kitchen includes a brand-new stainless-steel French door refrigerator, gas range, and dishwasher as well as a new deep stainless single basin sink with modern two-way stainless faucet. Open shelving keeps a modern feel in the kitchen and a full-size pantry with new bypass barn doors provides ample storage space for all your kitchen needs. Listing provided courtesy of Usrealty.Com.